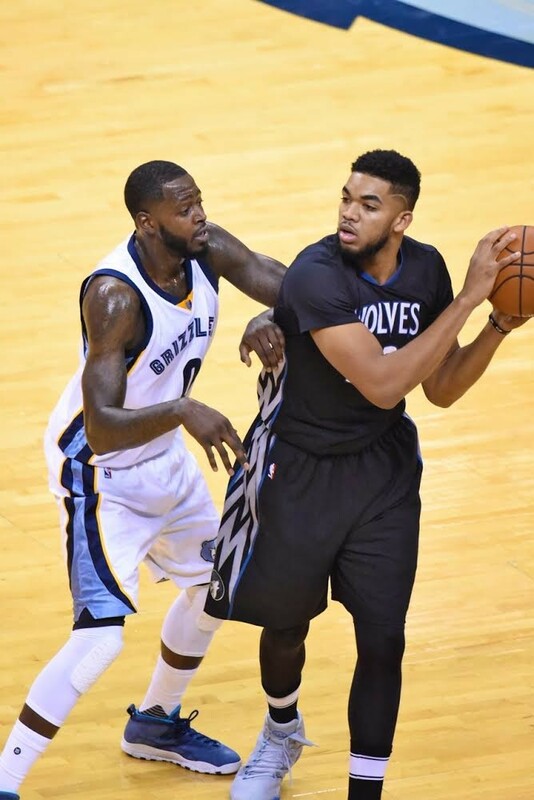 For only the second time since moving to Memphis, the Grizzlies won their home opener against the Minnesota Timberwolves last night, 102-98. 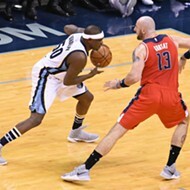 For the shorthanded Grizzlies, it was a good test against what looks to be a quality—if not quite together yet—opponent, as they took their new philosophies on offense and defense into the regular season, tested them in a tight game, and came away victorious. First up, something I have to follow through and actually do now because I told the internet I would: a haiku. Last night was the first regular season game of coach David Fizdale’s career, but it was already apparent that he’s put his stamp on this team, and on the way they play. It starts with who scored the most: among starters, Mike Conley had 24, Marc Gasol had 18, and James Ennis (presumably starting in place of the injured Chandler Parsons) had 15. Off the bench, Zach Randolph had 19 points and 11 rebounds in 25 minutes. 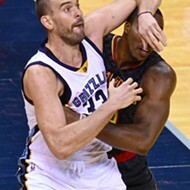 When things were working—which is to say, not in the first part of the first quarter, when the Grizzlies were running around like idiots on their way to a 20-3 deficit that took them most of the game to fully erase—you could see the offensive and defensive principles Fizdale has been preaching from day 1 in effect. The most obvious signpost was the 3-point shooting. The Grizzlies were 6 of 9 from beyond the arc in the first quarter, and last year I’m guessing there were whole games where they neither shot nor made that many. Gasol got one. Z-Bo got one. By the end of the night they were 11/24 from long range, good for 45%. That’s exactly the kind of thing so many of us who watch this team night in and night out have wanted them to do—just take and make a league average number of threes. That average is increasing, and it’s refreshing to see the Grizzlies running offensive sets that acknowledge the evolution of the game. Crunch time was also revelatory. On the floor: JaMychal Green and Andrew Harrison. Not on the floor: the aforementioned Zach Randolph. Randolph clearly wanted to be on the floor—he said as much after the game, and who could blame a professional basketball player for wanting to be, y’know, playing basketball—but Green was at the 4 instead, and made some effort plays that sealed the game, including a tip-in of a missed free throw and a vicious stuff of a Karl-Anthony Towns shot attempt. Randolph was in rare form Wednesday night, but it seems his second-unit role is not a joke, and that’s probably something to which Grizzlies fans are going to take a while to adjust. All in all it wasn’t a perfect start to The Fizdale Era, but the bones of the thing, the structure around the rest of the season will be hung, are already starting to solidify. 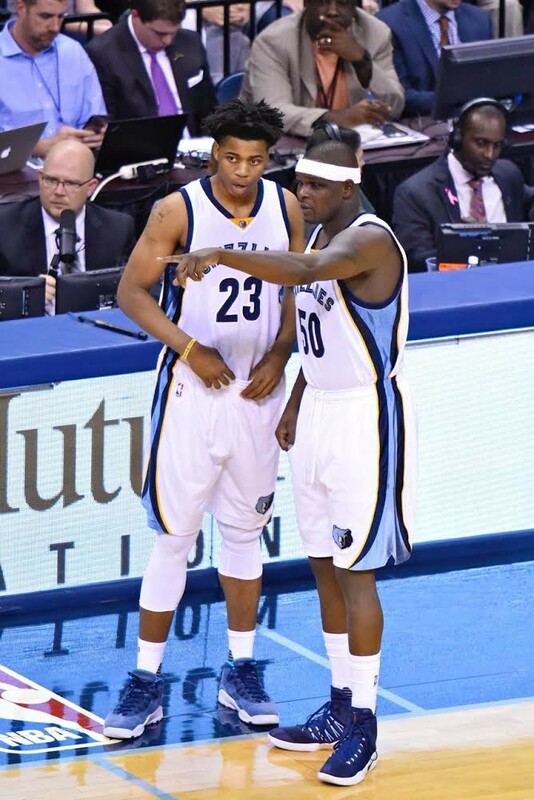 More than likely, if Tony Allen starts last night, Andrew Harrison doesn’t play 38 minutes. 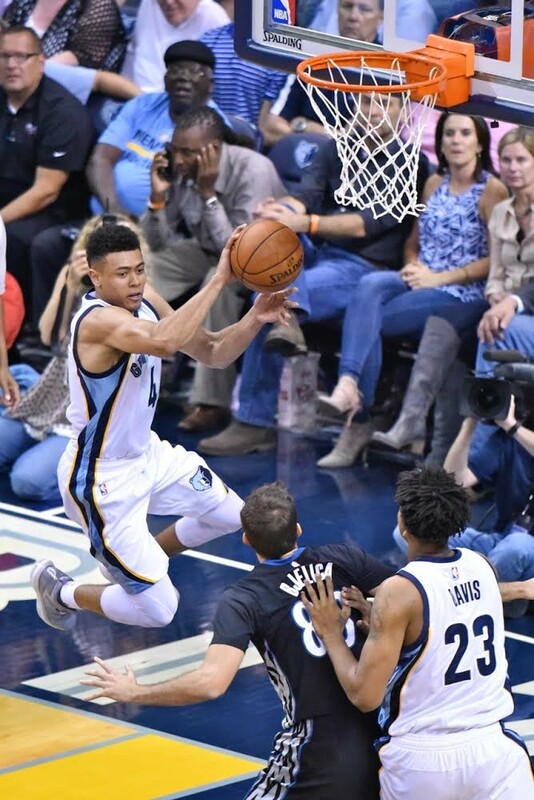 The rookie is clearly not comfortable playing off the ball, and still struggles to make the right decision when it matters, and was in over his head last night trying to guard Andrew Wiggins. As usual, Grizzlies Twitter decided about ten minutes into the game that Harrison doesn’t have what it takes to be an NBA player. Was he great? No. Does he need to get better to stay in the rotation? Yes. Am I ready to write a guy off based on one game, after years of killing Grizzlies coaches for having too short of a leash with rookies who just need time to play? Nope. Check back after a few games and I will have started to form a Harrison opinion. In the meantime, Wade Baldwin left no doubt that he’s an NBA-level talent. Baldwin’s stat line in his first-ever NBA game was something special: in 25 minutes, he had 7 points, 6 assists, 5 rebounds, 3 steals, 3 blocks, and only one turnover. He didn’t shoot well (3 of 8) and probably had a few “turnovers” that weren’t counted as such (an airball on a fast break jumps out at me as an example) but for the most part, Baldwin’s first real game was like his first preseason game: he was poised, confident, made plays that rookies don’t normally have the presence of mind to make, and overall looked really good playing in two-PG lineups. I expect to see Baldwin and Conley on the floor together a lot as the season progresses, taking turns playing off the ball. That seems like the most natural spot for Baldwin (assuming Harrison or someone else can hold down the backup PG minutes and give Conley some rest, which might be a stretch at this point). Fizdale has a lot of faith in these young guys. Whether it’s because he’s been with them the longest—he coached the Grizzlies’ Summer League team this summer, something head coaches don’t always do—or because he really sees potential in them that the rest of us aren’t yet hip to, it’s hard to say. But the way he talked after the game last night, I wouldn’t be surprised to see the starting lineup from last night (Conley, Harrison, Ennis, Green, and Gasol) hold for the next few games while Tony Allen is getting his knee right. Fizdale is convinced these guys can carry the load. Deyonta Davis played 6 or 7 minutes and didn’t look like he was ready to go yet. He made some good plays, but just doesn’t seem physically ready yet. I don’t doubt that his plantar fasciitis issues have hampered his conditioning. Troy Daniels didn’t play. He didn’t play much in the preseason, either. I’ve yet to see any evidence that Fizdale plans to play Troy Daniels at any point, or that he needs to. Having a hard time believing the Troy Daniels experiment is going to work out, at this point. Troy Williams didn’t play, either. As an end-of-the-bench guy, I didn’t really have any expectations as to whether he would play or not, so I’m not surprised by this, but I do think he might have been able to make some positive contributions in some spots last night. The Grizzlies now start the season with that most dreaded of beasts, the FOGAFINI: Four games in five nights. Saturday and Sunday they’re at the Knicks and home against Washington, and then Tuesday and Wednesday they’re at Minnesota and home against the New Orleans Pelicans. It’s a true test of the injury-riddled Grizzlies’ depth, and will also show us whether Fizdale feels like he can afford to stick to the minutes limits and rest ideas he has when he feels like he’s shorthanded. All of these games are against decent teams, and could go either way—none of them are a “gimme,” especially not since Anthony Davis, who has always caused problems for the Grizzlies in the past, dropped 50 on opening night.